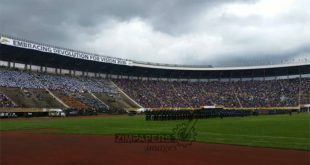 As lack of funding continues to haunt Zimbabwe’s sporting fraternity, there has been a lot of blame game with national associations crying foul over lack of support from Government and corporate sponsorship. This has been going on for a while now and in some cases some national associations have ended up forfeiting certain regional and international competitions or they end up sending a few athletes. In other sporting disciplines parents have had to come on board and sponsor their children on national duty. Recently, the Zimbabwe Softball Association were out appealing for assistance when their participation at the WBSC Africa Division qualifier to the World Championships was under threat due to financial constraints. Sport and Recreation Commission acting director-general Joseph Muchechetere said issues of governance are key to improving the current scenario hence the need to elect people who are capable of leading associations. “The first thing is national associations have to elect people of substance, who know what to lead an association is. A national association is a business where leaders should apply their business skills, then we should be in a position to see basic governance in existence. “Once basic governance exist then we can see them being able to get into partnerships, attract grants from international federations and government. “Gone are the days of saying it’s just sport, it’s now business, so we can’t help those who can’t help themselves, those who can’t meet the basic requirements,” said Muchechetere. Muchechetere added that some of the associations are failing to meet the basics such as submitting their audited financial statements and some are not able to keep track of their membership, an area that can be a source of funding. “A national association is an entity on its own, it’s a complete business entity and it has got its on way of keeping its existence. So there are things to do with membership. National associations can actually meet their administrative obligation through affiliation and joining fees. “And they can come up with other avenues of raising money for example through sponsorships and grants from international federations. Some of these associations do get grants from international federations. “The reason they are not getting money is because they don’t know their membership, they are not in compliance,” Muchechetere said. However, there are some associations such as Tennis Zimbabwe that have over the years managed to maintain good relations with their sponsors such as NetOne, who have played a huge role when it comes to the Davis Cup team. They also have Old Mutual on their books, focusing more on the annual ITF Futures on the local scene. Zimbabwe Rugby Union have also had some good sponsorship coming their way and last year Delta Beverages unveiled a $100 000 sponsorship deal for the Cheetahs. Some of the national associations that spoke to The Herald said instead of pointing fingers at each other, all stakeholders need to come together for the benefit of sport. Zimbabwe Karate Union secretary-general Steven Charundura said there is room for improvement from both the Government and associations in terms of funding sporting activities. 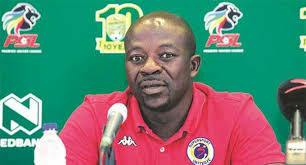 “It’s the national team, it’s for Zimbabwe and it needs concerted and collective efforts in finding resources because you are funding a national cause. It’s the national flag that’s at stake. If you wait for national associations you find that only athletes who can fund themselves end up making the team. “So it compromises team selection because of funding. National associations, some are organised and pro-active and some are reactive. 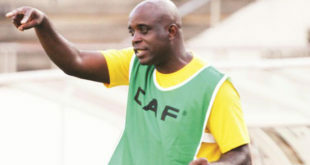 It’s our ball all we need to play our ball and see to it that our sport develops,” said Charandura. Judo Association of Zimbabwe president Smart Deke underscored the importance of membership whom he said had been their main source of funding until last year when they got a sponsor on board. “What we have been doing is, we have been using our own sources of funds. For us as an association we only got sponsorship that came last year, but all along we were sustaining on our annual fees. So if we can spread our sport and have at least 1 000 athletes I think that will be one avenue for income,” said Deke. 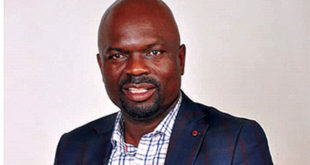 Former Olympian Abel Chimukoko, who now leads the Athletes Commission at the Zimbabwe Olympic Committee urged both associations and the Government to play their part when it comes to national teams. “I think national associations are not doing enough, they are letting us down. They are not working hard enough. 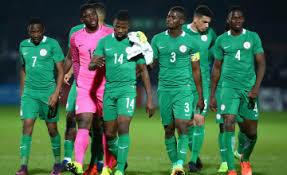 “Our Government is struggling, but what I can say or from my experience when I was in Spain for some time, anything to do with national teams the Government takes over,” said Chimukoko. Zimbabwe Aquatic Union president Mary Kloppers said there was need to relook at how limited resources could be shared fairly to all associations. “It’s difficult to say . . . maybe they are not being fair, maybe funds are not being distributed fairly. Maybe the allocation of funds should be relooked, some sports get, some get nothing,” said Kloppers. Kloppers said members of associations need to keep their executives in check by demanding accountability instead of being spectators watching from a distance.